We are an experienced Taiwan Fruit Powders manufacturer, supplier, exporter and factory. We make production and development according to SOP. With our marketing and manufacturing experience, open-minded improvement, challenging breakthrough, professional management and innovative design, we have been growing rapidly. If you are interested in any model of our products, please feel free to contact us. 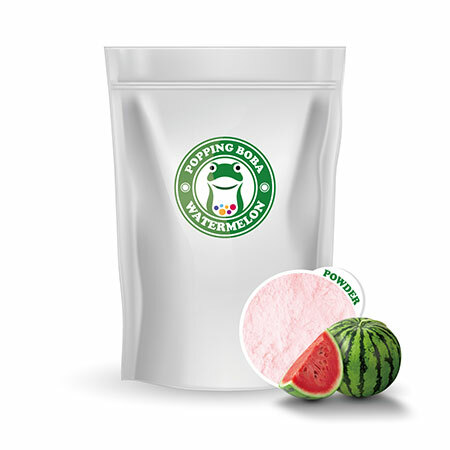 Watermelon Milk Powder is a pre-mixed powder with non dairy creamer in it, could be diluted with water for drinking, or to add additional milk to increase its flavor. It also has a sandy taste as if there were tiny ice crystals like smoothie, with a heavy mouthfeel like the texture of watermelon itself. It's a good option to serve it with freshly cut watermelon.
. Adhering to the "good faith" principle of service, "mutual benefit" principle of cooperation, strictly check quality, adhere to the "norms" of corporate thinking, we hope have sincere cooperation with friends from all walks of life and go hand in hand.